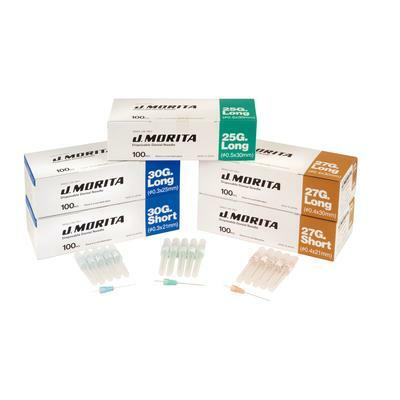 J. Morita’s Disposable Dental Needles are designed for luer-lock and screw-on type syringes. These needles feature an indicator dot on the hub to ensure easy identification of the lancet bevel position for less insertion pain at the injection site. The containers are color coded for easy identification. Universal plastic hub fits in most syringe types.